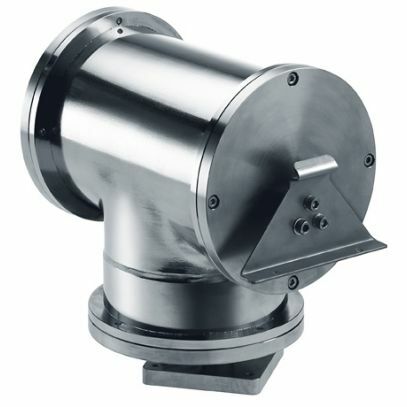 Electropolished stainless steel Pan & Tilt unit designed for movement on horizontal and vertical axis. Together with the stainless steel housings, The NXPTH is built to resist the most severe environments. It is developed for the offshore market, for every type of seagoing vessel and all industrial applications. Each detail has been carefully analysed, resulting a reliable product suitable for highly corrosive environments. The accurate mechanical construction and reliable motors utilized reduce the need of mainteinance even in situations of heavy mechanical stress. The NXPTH allows a maximum horizontal/vertical rotation of 340° and is equipped with potentiometers which allow use of the preset function.